Happy Pi Day! 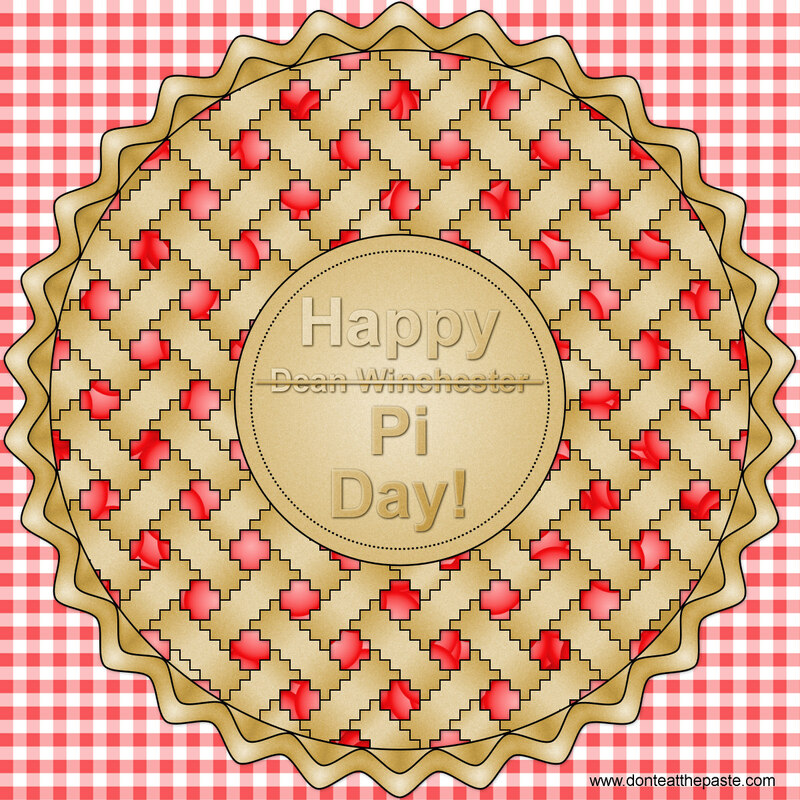 Or if you're a Supernatural fan- Happy Dean Winchester Day! My whole family are pretty big fans of the show, and making the colored example of today's coloring page this way sent TATG into giggles. 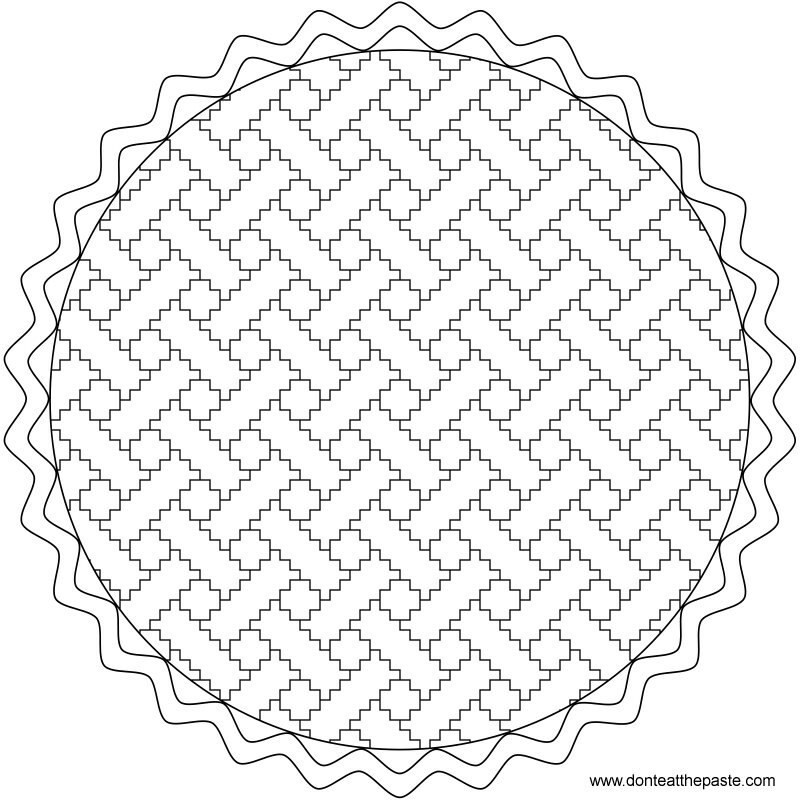 There are 2 versions of this coloring page- one has a nice big blank circle that can be personalized, used as a frame or used with a quote. The other is just a simple lattice topped pie. Either way it's a very simple page to color, but hopefully you enjoy it! 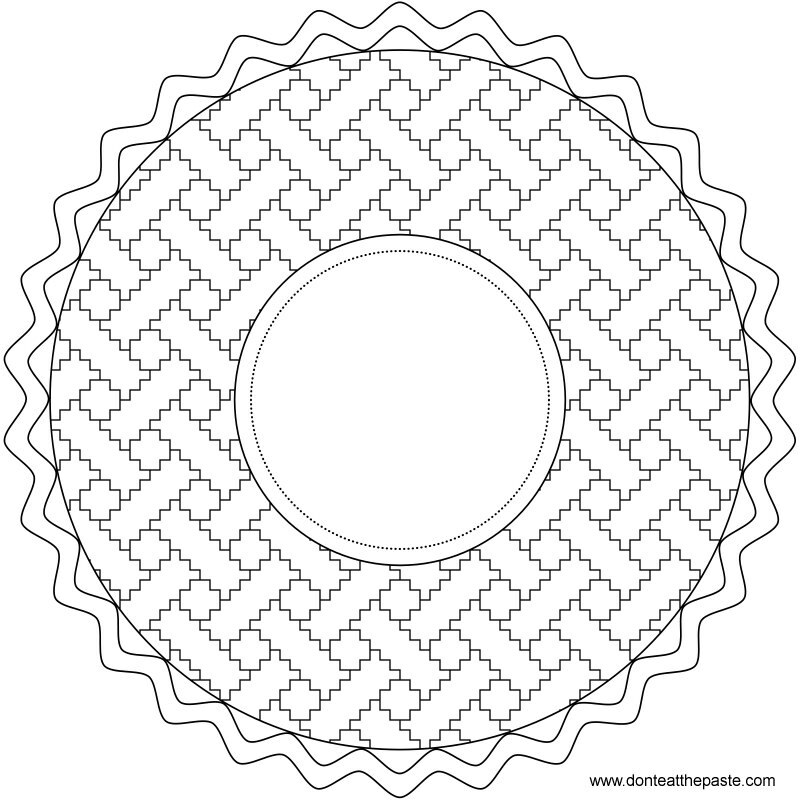 Click on the images to get a bigger versions of these pie coloring pages.